At our next Art Walk event, we will explore the street that is the heart of the nation's capital, and was Washington's first downtown street with shops, markets, and a financial district growing along it during the 19th century. 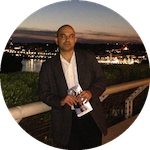 We will do a leisurely paced walk along Pennsylvania Avenue exploring some of its culturally, aesthetically, and historically significant buildings, plazas and monuments. Some of the historic places during our Art Walk will include the Freedom Plaza, Old Post Office Pavilion, Old Post Office Museum and Clock Tower, John A. Wilson District Building, Ford's Theater, National Archives Building and the former Central National Bank. As we walk around and explore Pennsylvania Ave we will also compete for the best photo. 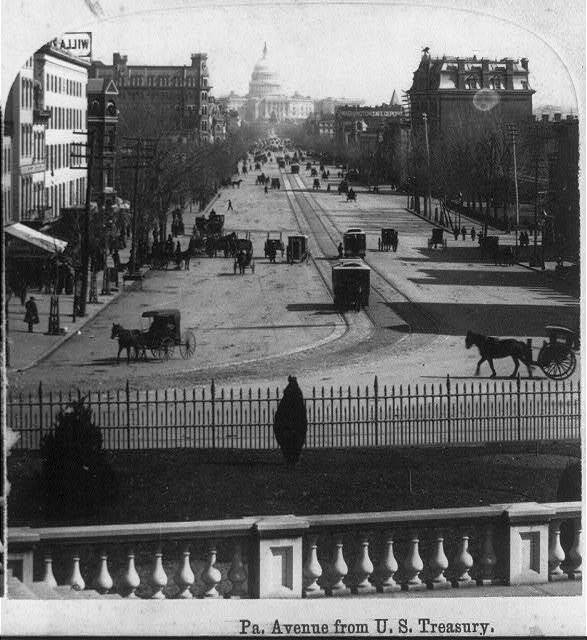 The L'Enfant Plan placed the the US Capitol Building on Jenkins Hill and the White House on a low ridge north of the mouth of Tiber Creek and connected them with a broad, diagonal avenue, which was first referred to as Pennsylvania Avenue, in a 1791 letter by Thomas Jefferson. 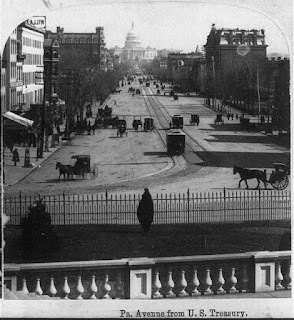 A common theory suggests that the avenue got its name Pennsylvania Avenue, to appease Pennsylvania, which would see the federal capital move from Philadelphia to Washington in 1800 after, the Residence Act of July 16, 1790 put the nation's capital in current-day Washington. 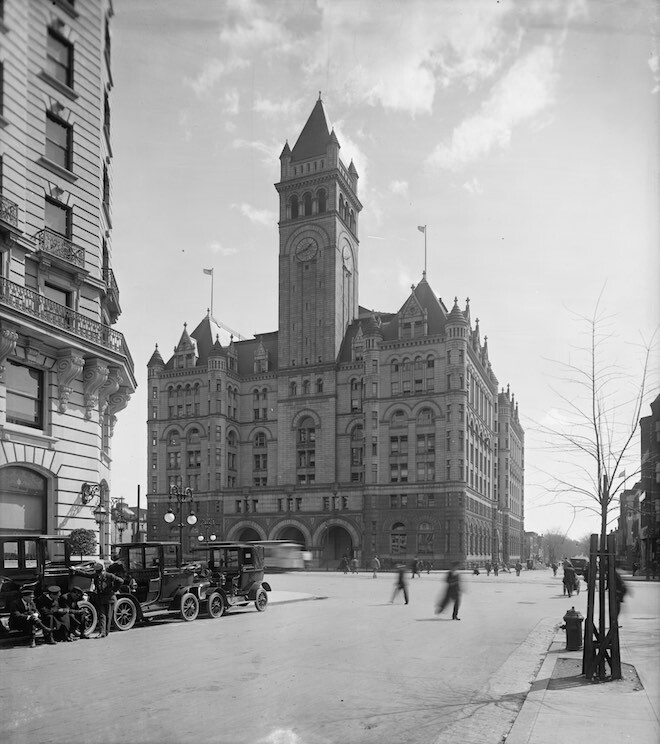 Over its long history, many Presidential inauguration parades and political protest marches have taken place along Pennsylvania Avenue. On September 30, 1965, the Secretary of the Interior, with the concurrence of President Lyndon B. Johnson, designated it the Pennsylvania Avenue National Historic Site, encompassing the Avenue between the Capitol and the White House, and a number of blocks around it. You can bring some light snacks and drinks for yourself to have during the walk. After the event, we can break into smaller groups and get drinks or food depending on individual preferences. The criteria for judging will be based on the artistic creativity, uniqueness of the photo composition and picture framing besides having a stimulating effect. The photo must also capture the theme specified in the contest. We will meet outside at the White House Visitor Center on Pennsylvania Ave which is less than a 5 minute walk from the Federal Triangle Metro Station. 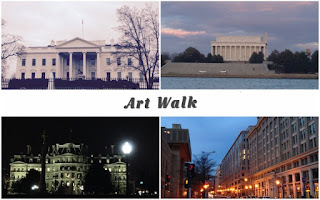 Description: Explore the historic buildings on Pennsylvania Ave as we compete for the best photo for our Art walk contest. There is no contest fee for veterans, firefighters and teachers who are an important part of our community. Grapes & Grains will cover the cost of their participation.